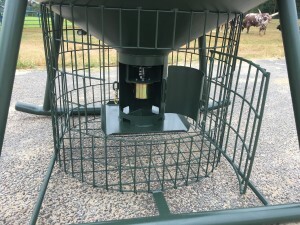 Features Outback Pistolero Directional Spinner Unit positioned to scatter feed out the side into the brush from the sendero while driving. 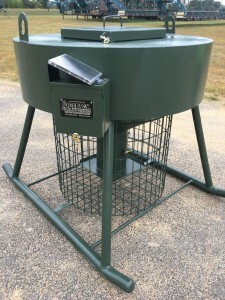 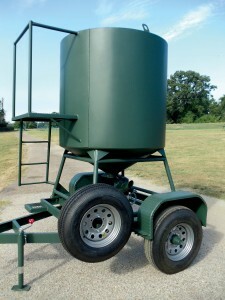 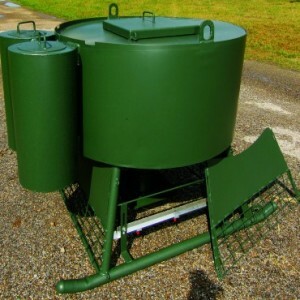 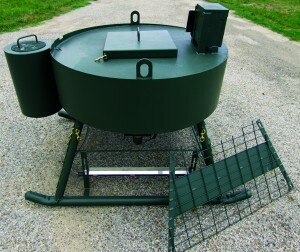 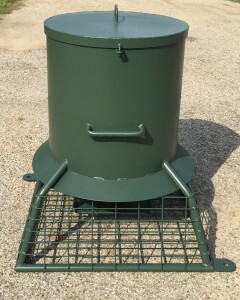 This new compact quail feeder features a 300# hopper with large feed tray and rain shields to keep your feed dry. 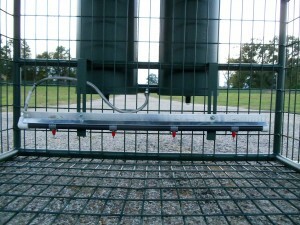 The feed area is completely caged from top to bottom to insure your quail will have feed when they want it. 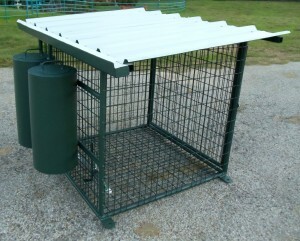 Designed with 100% all steel construction to give you years of worry free use.